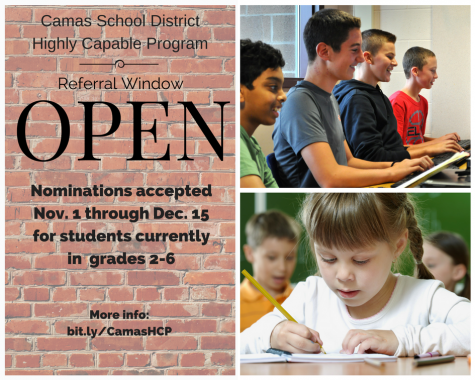 Families of students currently in grades 2–6 can refer their students to receive Highly Capable Program services through December 15. See full details at our Hi-Cap Program page. 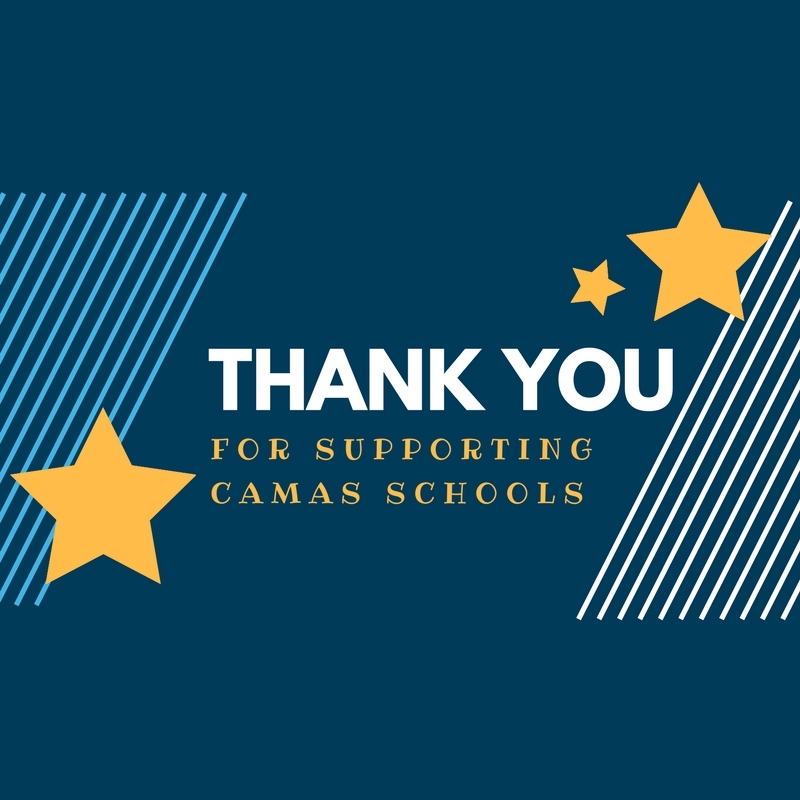 Levies are passing, thank you Camas voters! It is time for Kindergarten registration for the 2016-17 school year! Listed below are the dates for registration and orientation events for each school. The purpose of orientation is to meet teachers and staff, learn about the kindergarten curriculum, and take a ride on a real school bus! 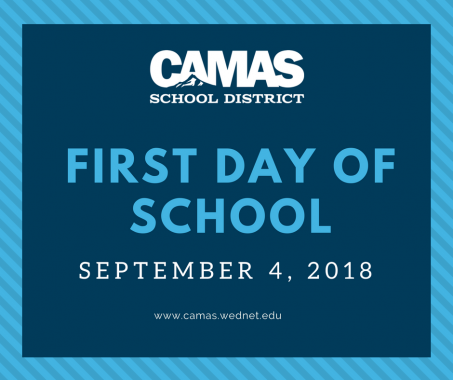 If you are not sure which school your child will attend, or would like to make a registration appointment, please call 360-833-5410 to speak with Shanna Michelle and Becky Stauffer, district registrars. They will also be onsite at the orientations for your convenience. 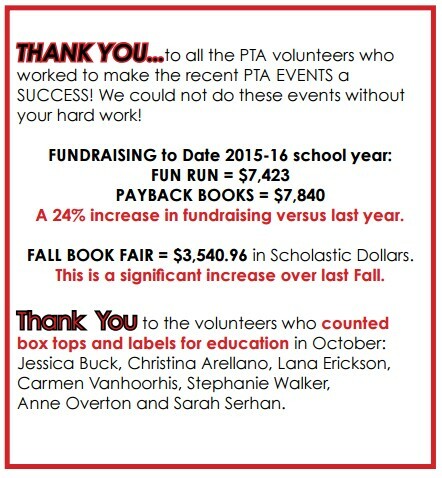 You may access registration paperwork online at www.camas.wednet.edu/registration. Immunization information. Students must be fully immunized including “kindergarten shots” or an exemption needs to be on file in order for your child to be registered. 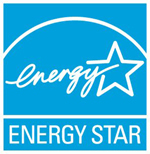 Proof of residency (2 items), i.e., utility bill, payroll check, signed lease agreement, etc. Please let us know if you plan to attend the kindergarten orientation. 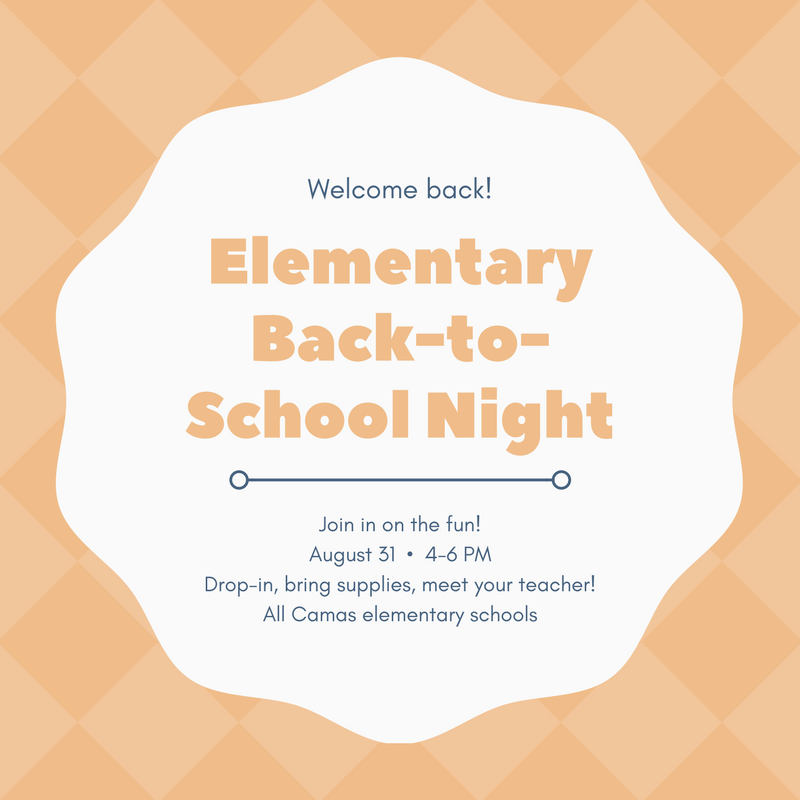 And if you know of any future Camas kindergarten students in your neighborhood, preschool, etc., please share this information with them. Join us for the 2nd Annual Student Film Festival! 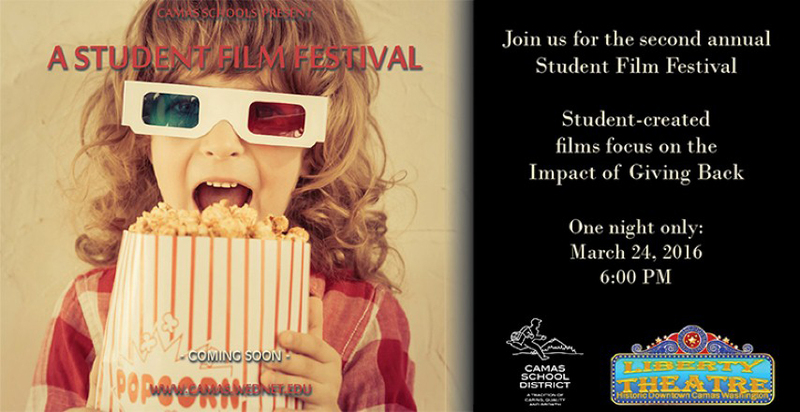 On March 24, 2016, parents, staff, and citizens are invited to view the film entries at Liberty Theatre in downtown Camas. Doors will open at 5:30 p.m., and the films will begin at 6:00 p.m. The program is expected to run for approximately one hour. The event is free, and concessions will be available for purchase inside the lobby.